Remains Lighting – WHAT IS JAMES WEARING? James Andrew At Remains Lighting. As many of you may already know, I’m a fan of Tony Duquette, a hugely influential artist/designer who explored many different mediums. He worked with his wife, designing opulent sets, costumes, interiors, furniture – you name it they did it. Duquette developed a haute international clientele that included major figures including the Duchess of Windsor, and garnered incontrovertible critical acclaim by becoming the first American to have a one man show at the Louvre. 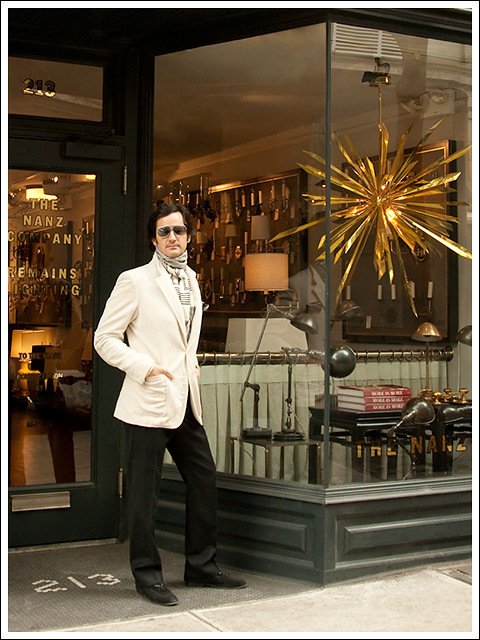 Needless to say we at WIJW really love the magic that a Duquette can bring to any fine interior. 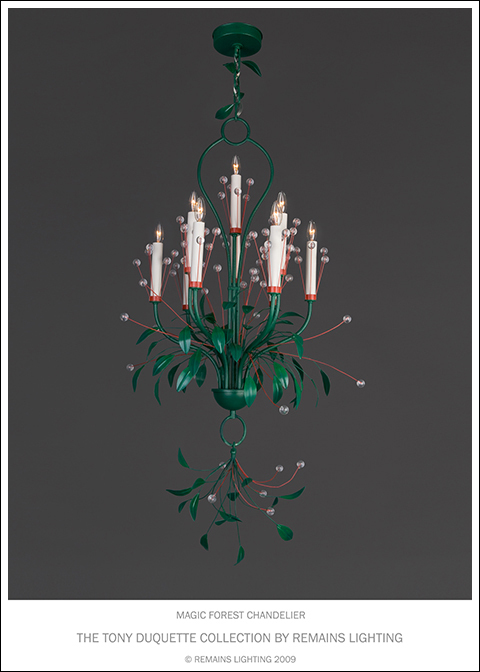 Hutton Wilkinson continues Duquette’s legacy and in concert with Remains Lighting has created a line of lighting fixtures that while based on the classical aesthetic, have a fresh modern quality, and in fact are very much in the spirit of Tony Duquett’s original designs. 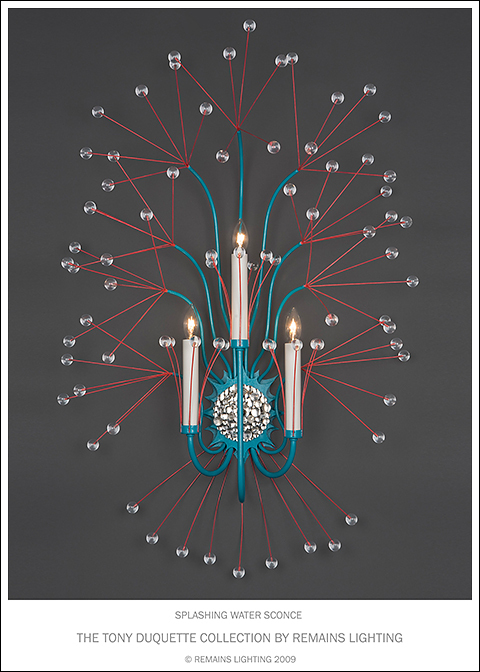 Remains Lighting is a New York based company and WIJW is happy to see that production is a purely US endeavor. 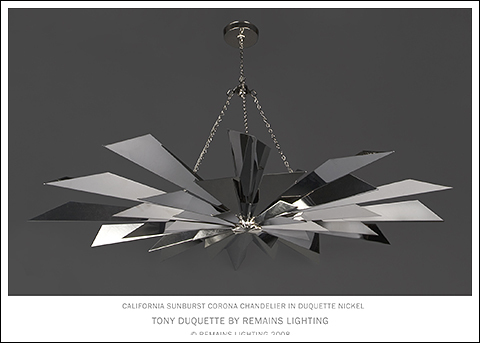 I’m here (top) in front of the Remains Lighting showroom on East 59th Street admiring the spectacular “California Sunburst Chandelier.” I can’t wait to incorporate this and some of the other fantastical creations from the Duquette collection into some of my current projects. I’m wearing an ivory wide wale corduroy jacket, black wool flannel pant, cream cashmere turtleneck sweater and black suede and leather trimmed loafers all by Gucci, white and black silk scarf by Turnbull and Asser, glasses are by Dior my fragrance is Windsor by Creed.